Castle Town of Gujo (郡上の城下町) remains great Edo style scenery. There are many traditional houses including a castle. Its view of castle town offers tourist great Edo walking. 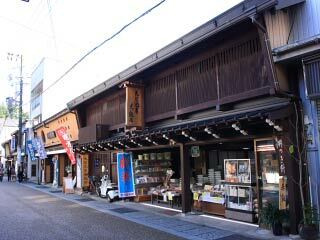 Some of the houses, temples streets and canals are exist since Edo period. Even today, the scenery of castle town is preserved well. where craft men used to live. The canal of the street was built in 1660 for fire protection. where blacksmith used to live. There are several Sake breweries. ... is one of 100 best water in Japan. It was registered at the first. ... is the other side of Yoshida River. There are many remaining traditional houses, such as Saito House. ... offers the best view of Gujo. where Ashigaru used to live.